Recently, I went out with my friend for dinner. It was wintered so he asked the butler to bring normal water. It’s pretty simple to understand normal water. The water at room temperature is the normal water. Now, I sat on the comfortable sofa in a relaxed posture. My friend asked me an intriguing question that why I cannot behave in a normal way. I was perplexed. I was pondering over the exact definition of being normal. After some time, I found an answer – Acceptance. When you accept who you are and you face your true identity, it’s called being normal. I have seen that people pretend to someone else. A man pretends to be very social in order to impress his love but in reality, he is not. A girl pretends to be sophisticated in family dinner party but in reality, she wants to be wild and free. Here, we try to be normal by behaving abnormally. We put all our energy and resources to give our best and in the end we realize- it’s all in ruins. We cannot live a life by pretending to be someone else; we can only spend our lives like that. Now the choice is yours, whether you want to live it or spend it. Acceptance is the key to a normal life. 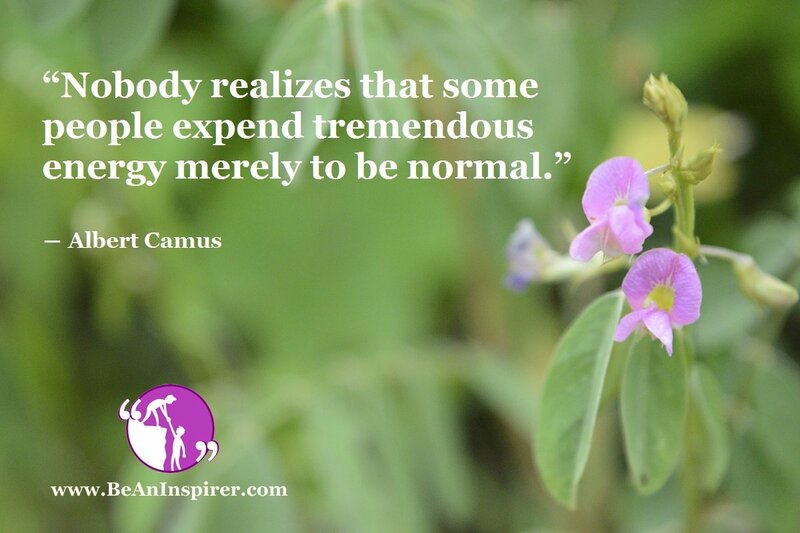 When we accept ourselves as we are, then we realize the real bliss of being normal. Let me tell you my story. I am a person who stammers. I remember the days when I always tried to speak “normally”. If I had to meet someone, I would rehearse his/her name hundred times before the final conversation. So, I had put in tremendous effort to be a normal or fluent speaker. When I learned the art of acceptance, it didn’t matter to me if I stammer or not. What matters the most to me is my identity and my confidence; confidence to accept who I am irrespective of my surroundings and environment. I read somewhere- Change is the only constant. This is a truly fascinating line that still resonates in my mind. With time, you change. This is because life is a learning process. You always learn something each day. Therefore, with time you realize your mistakes or shortcomings. You try to improvise and incorporate them into your identity. Change is necessary for survival and therefore, it’s completely normal. Even the colors of Earth change with the seasons, so it’s normal to change with the time. If you will spend your life in accordance with the norms of the society, you can never live a normal life. You will waste your precious time and energy on baseless customs and rituals of the society. Shed the robe of pretension and live a life of normality. At the end, you are not defined by the ways you impressed someone or the way you looked; it all comes down to your work and nature. Acceptance is the key to this change. When you accept the fact the mindset of the society will not affect your identity, you will start living a normal life. In life, we have a lot of things to look after. You should be busy improvising yourself so that you don’t have the time for judging anyone. That’s not a normal behavior. When your mind and heart is focused on self-development rather than criticizing others, you are normal. Acceptance in all sort of ways will help you in striving towards a normal life without any tremendous efforts.